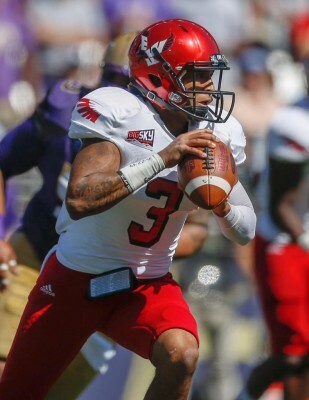 Vernon Adams, the Eastern Washington quarterback, will officially be a Duck this June following his graduation from EWU. But his coach, Beau Baldwin, isn’t too thrilled about the quarterback’s decision to leave for another school, and he expressed his displeasure to ESPN700 in Washington. He went on to say that he wants what’s best for Adams, but clearly isn’t thrilled about him leaving a year early. 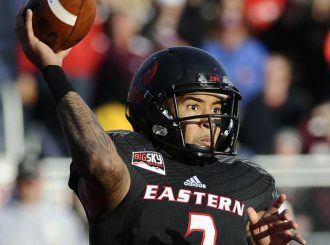 I understand we play Eastern Washington in week one, but why wouldn’t you be happy about your quarterback achieving his dream of playing FBS football? 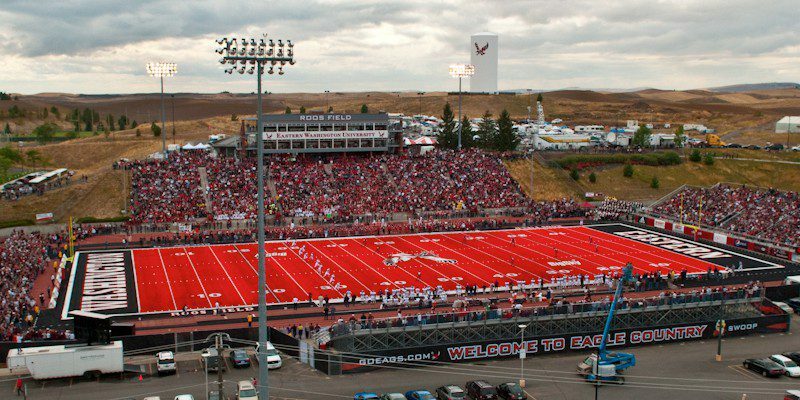 Because let’s be honest, EWU wasn’t going to beat the Ducks even with Adams. Baldwin went on to take a small shot at Mark Helfrich and the Duck football staff. Unfortunately for Baldwin, he is clearly misinformed about the Oregon quarterback situation. We have recruited two four-star quarterbacks over the last two years in Morgan Mahalak and Travis Waller, respectively. That alone pretty much makes his argument invalid; nice try coach Baldwin, but we do have capable players waiting their turn. Standing at 5-foot-11, Adams has been compared to Russell Wilson when he played one season at Wisconsin. Adams’ dream is to be a FBS football player, something Baldwin and EWU couldn’t give him, and Oregon decided to offer him the chance to compete for a starting job and achieve that dream. Much like Russell Wilson at Wisconsin, Adams will be able to improve his skills and compete against top tier competition for his one year at Oregon. Considering the Ducks routinely play in nationally televised games, if he plays well and the Ducks have a good season, his NFL draft stock will skyrocket due to his increased exposure. Coach Baldwin should be happy about that. The Ducks play Eastern Washington on September 5 at Autzen Stadium in a game that Adams has a great shot at starting. There is a lot of work to be put in between now and the beginning of the season, and a lot of time for coach Baldwin to get over losing his stud quarterback; but one thing is for certain, the first game of the season just got a little more interesting.